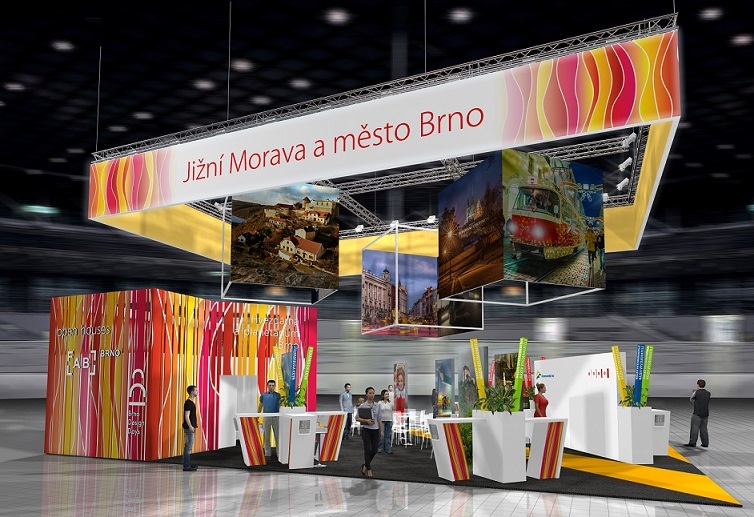 From 17-20 January, two tourism exhibitions will take place at Brno Exhibition Centre, showing off the best that South Moravia has to offer while also informing Brno residents of some of the opportunities available to them in other countries. The city and the South Moravian Region will run a joint stand at the exhibitions with the theme “From Another Angle” (in the picture). Photo credit: MMB. Brno, Jan 16 (BD) – The twin exhibitions, GO and Regiontour, will provide a meeting place for professionals from the tourism industry and the general public from 17-20 January. The GO Fair will focus on outbound tourism, with presentations from international and Czech travel agents and tourism services firms. Regiontour, on the other hand, will focus on the opportunities available to tourists visiting the Czech Republic, and will feature a wide range of companies and organisations involved in the domestic tourism industry, as well as contributions from the City of Brno and the South Moravian Region. Regiontour is among the largest tourism industry trade fairs in Central Europe, and between them the events will feature 803 different companies and over 31,000 visitors. According to the City of Brno’s website, the city and the South Moravian Region will run a joint stand at the exhibition, with the theme, “From Another Angle”, seeking to present an alternative view of the city and region. For the city, this will involve a focus on Brno’s science and technology scene; the city is keen to promote its status as a tech-hub, where science and innovation combine with art and everyday life, science is accessible to all citizens through many different institutions, and there are 282 students per square kilometre. Attractions related to this theme will include contributions from CEITEC MUNI in which visitors attempt to isolate their own DNA, and a 360-degree 3D Arctic video provided by Brno Zoo, along with an ice sculpture intended to represent the destruction of Arctic habitats. As part of Masaryk University’s centenary celebrations, the university will host the MUNI Science Slam, covering four scientific disciplines. Other elements of Brno’s culture at the exhibition will include gastronomy, represented by barman shows, wine-tasting of regional wines, and beer-tasting from the Slavkovský microbrewery. The South Moravian Region will be represented by organisations from the five main tourist areas of the region, presenting information about events and destinations in those areas which are less well-known, and the combined stand will also feature accompanying music ranging from swing to dulcimer. The tourism fairs will be accompanied by an extensive program taking place simultaneously in the exhibition grounds, including “RegFoodFest”, a festival of regional specialities and foods, the international “Gastro Junior Brno Competition”, and “GO KAMERA”, a festival of travel films, photographs and publications.